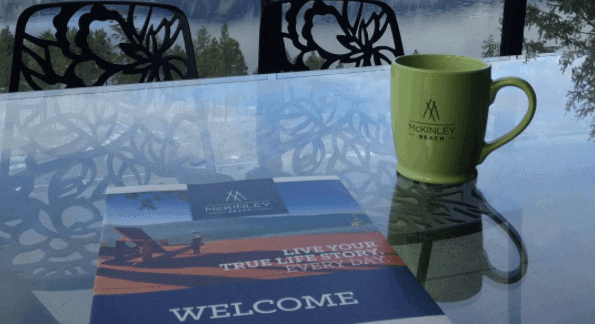 In 2016, we opened the McKinley Beach private 92-slip Marina, we opened our show home at 3322 Shayler Road, construction began on multiple homes, roads were built, and Stages 1 & 2 lots were sold. It was a busy year with lots of development and we are excited to have welcomed our first residents to move into the community last month. Throughout 2017 you’ll be able to see more and more developments as McKinley Beach grows, construction is completed on multiple new homes, and more families join our community. You can keep up to date with the progress on Facebook and Instagram. April – Pre-Sales begin for our Beach House Condos and Townhouse project. Watch our website and social media for details. April to July – More houses will complete construction and new residents will be moving in. Spring/Summer – The first of stage 3 & 4 lots will be completed and registered. Summer/Fall – The remaining stage 3 lots will be completed and registered and construction of our newest show home will begin.